I am freaking out excited right now…just booked my flights for my January runDisney extravaganza!! Yes, it’s a total of 7 flights (eep!) and an unsavory amount of flying time, but for two Disney trips in one week, with the promise of two incredible races, tons of friend meetups (from old to new and virtual to IRL) and at an INCREDIBLE price (I am still pinching myself and re-reading the itinerary to find “the catch”) it is sure to be one of the most amazing weeks EVAR. Okay, caught my breath again. And yes, I will be going to WDW next month as well (albeit a much shorter trip) so I realize that I must focus on other things in life – like work, school (which is going great this semester, thanks for asking) and marathon training…but DISNEY. DISNEYWORLD. WALT DISNEY WORLD…. You’re planning to hide me in your luggage, right? Nothing special in my week so far. Here’s hoping there will be a special phone call or email tomorrow to help perk things up! I am sending you a double order of pixie dust, girl! You deserve it. So cool!!! I wish that I could go too! Not sure what is making my week at the moment. Maybe the fact that tomorrow is Friday and I am drinking wine right now?! Friday + wine are always good 🙂 Hope our paths cross soon, Tasha! So excited for you!!! I can’t wait to hear all about it! Thank you! I cannot wait to share!!!! NEXT MONTH is almost here though. Yippeeeeee!!! What’s making my week? I’m going to California this weekend. I’m going to have In-N-Out. That pretty much speaks for itself. Awesome! We just got back from WDW and our first runDisney race. The ToT 10 miler was so much fun. That, the Food & Wine Festival AND being there for EPCOT’s 30 th anniversary made it one of the best Disney trips we’ve experienced yet which is saying a lot because we are DVC members and go as often as we can. Can’t wait for MLK weekend in January, we’ll be back! I definitely wish I could’ve been there for Epcot 30 but I had SO much fun reading about everyone’s experiences and following along via social media 🙂 isn’t being a part of DVC grand?!? I am so excited to buy my Annual Pass next month!! 7 flights?! Are you going across the country and back?!! But so excited for you as I know how much Disney means to you. Have a BLAST! Alison – haha, yes in fact I am!! Yay!! So exciting!!! I love the picture of the plane. I can’t wait for Princess (my next time to WDW)!! Yay! Princess is definitely a blast!! 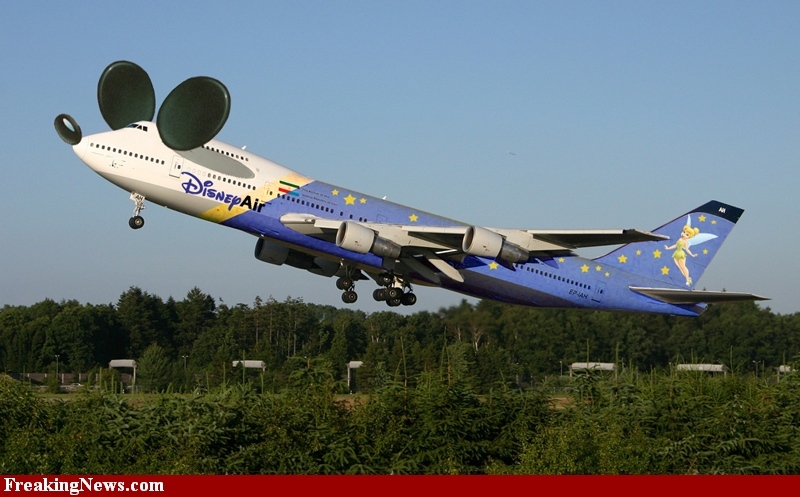 Too bad you aren’t on the Disney plane in the photo…that would be awesome! Where are you staying for Wine and Dine? Christine and I would love to meet you. We are at the Caribbean Beach from Nov. 8-12th. In January we are staying at the Poly…can’t remember the dates and too tired to get up from my “ma” chair to look!